Stephanie: Hello, Robert. Thank you for chatting with me today. 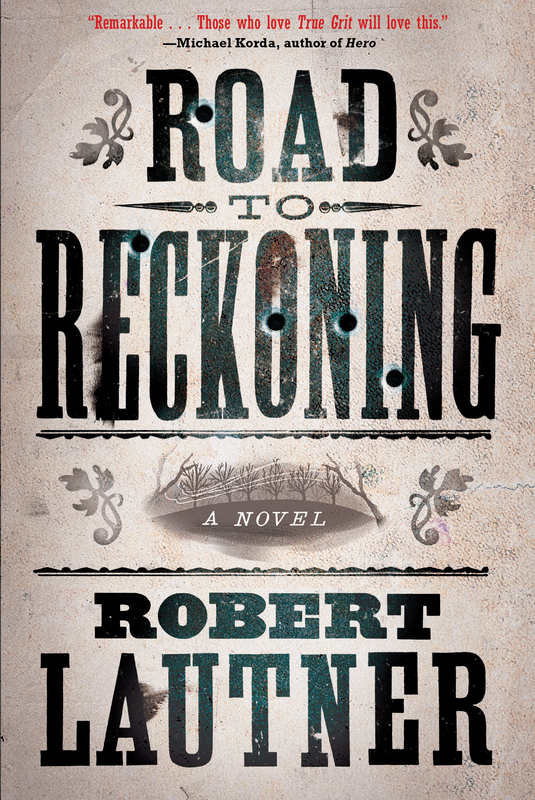 Your book, “Road to Reckoning,” looks really intriguing. Please tell your audience about your story. Robert: Hello, Stephanie. Thank you for this. I don’t do this very often! My story is set in 1837 Pennsylvania and is very much a “road” story as the title suggests. It centres around twelve year old Thomas Walker who is making his way back home to New York city after finding himself alone in the comparative wilds of the boroughs and counties west of the Delaware. It is also the story of the first practical revolver as invented by Samuel Colt, and the introduction of the true handgun to America. Thomas Walker isn’t a brave boy, he’s secular and introverted and very much afraid of his predicament. He finds a reluctant protector in an aged Indiana ranger, Henry Stands, who is heading to Philadelphia and tags along with him until such time as their paths might split. Naturally nothing is that simple. Stephanie: What genre does it fall under? Robert: I originally intended it to be a YA story, and it can be read as such and I’d like to think that there’s something inspirational in it for young adults, but I suppose it’s regarded as a more literary historical novel. Stephanie: What was your inspiration for your story and how long did it take to write? Robert: I’d always known the legend of the young Sam Colt carving his first gun out of a wooden ship’s block when he went to sea on a merchant clipper and however apocryphal that might be I wanted that wooden gun to become a story. The idea that drove the book was that just the sight of a gun shocks people and I thought about what type of man could face down a group of armed killers with just a wooden model of one in his fist. Getting to that scene carried me through the writing and overall I’d guess that it took about ten months to write but I had it in mind long before that so I was always thinking about it and most writers will tell you that is part of the process. I’ve never stared at a blank page. I come to it ready. Stephanie: How did you come up with your title? Robert: My working title was “The Wooden Paterson” the gun of the story, but we all agreed that the title only made sense after you read the book and didn’t leap off the shelf so there were months of titles going back and forth from the publishers until my editor realised that the problem was that everyone got different things from the book so titles were rejected based on personal experiences from reading it. Eventually we decided on a middle-ground. Something traditionally dramatic but intriguing. Stephanie: Were there any challenges you faced while writing your story? Robert: Not really. You always get doubts when writing, especially if you’re writing something that isn’t contracted. You don’t know if anyone is going to be interested or it might not meet a publisher’s agenda for that year or reach the right editor’s desk. But I was writing it very much for my own pleasure and that was enough to carry it. I wanted to read it. Stephanie: Did you work with an outline or just write? Robert: With historical fiction you have to do a certain amount of research before you start and that becomes a sort of outline but generally I just work out points that I want to get to in the story and that becomes my plot. But I let the story come out organically. I don’t rigidly plot as I feel that modern readers are so much better at seeing where a story is going due to a much wider cultural experience than past readers. We see so much more TV and movies that arcs and plots can be spotted a mile off. If I don’t know the end of my book it’ll be harder for the reader to know. Stephanie: Have you learned anything new from writing your book? Robert: It was interesting to discover that the period I was writing in was also a time of recession for the country and I could draw many parallels to that in the story. It occurred during a time of industrial change; moving from horse and canal to steam and locomotive and even something as small as going from coin to paper money seemed to make a great change to everybody. All of that was very interesting to discover and gave a great perspective of the minutiae of history outside of the people they teach you about at school. Stephanie: Where in your home is your favorite place to write? Robert: I write in the corner of the living room. I live in a small wood cabin so the main room is the kitchen as well. I don’t think I could work alone or in an office. I like to be surrounded by my family. Writing is a singular activity but because I work from home I’m with my wife and children when I work and I’m thankful for that and its disruption. Stephanie: Is there a particular writer who has influenced your own writing? Robert: I grew up reading comic-books. I learned to read from comics. That is true. When I was a young man Frank Miller was writing Daredevil for Marvel. I never knew that a comic could be like that and then Alan Moore came along and comics began to transcend the medium. I wanted to write comics but had no idea how to do it so I got my own store and started to show kids what they should be reading. It was twenty years after before I sat down to write myself but I always remembered what it felt like to be moved by writing for the first time. Stephanie: What is up next for you? 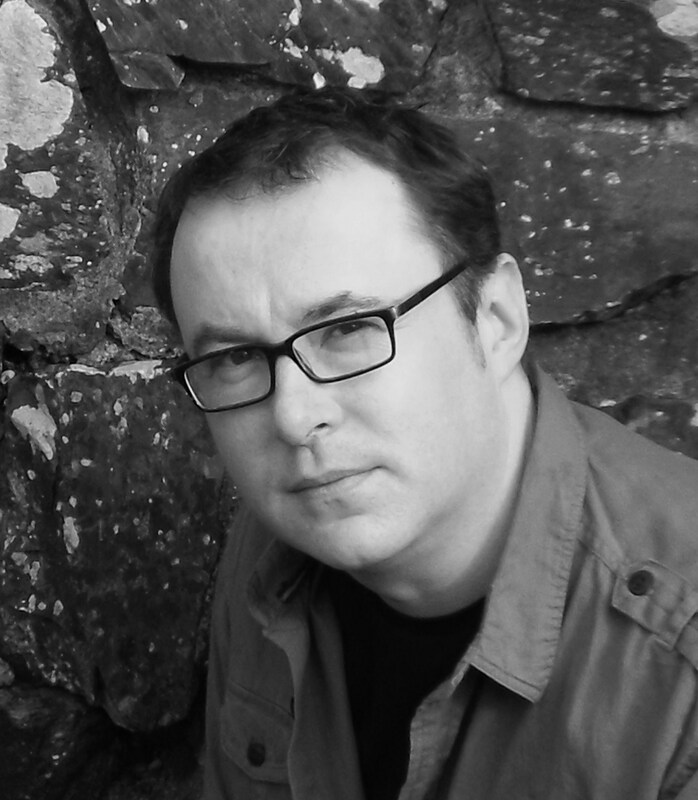 Robert: I have completed a new novel and am currently working on another. I usually start a new book before I have finished the last. That might sound like I work hard but I don’t. Writing is my relaxation so it’s a win-win. Stephanie: What advice would you give to an aspiring author? Robert: Don’t worry about the first draft. Don’t worry about the second. Worry about the third. If you can’t see the book by then it isn’t a book. And a story is not a book. A screenplay is a story. A book should be more than just a story. Stephanie: Sound advice. Is there a message you would like to tell your readers? Robert: Read the book twice. And then read it for the first time later. Stephanie: Where can readers buy your book? Robert: It should be available everywhere I hope! But one day I’d be pleased if you found a battered copy on a shelf somewhere and the pages were dog-eared. That will do for me. That’s how I found it. This entry was posted in Uncategorized and tagged Author Interview, historical Fiction, publishiing, Robert Lautner, Simon & Schuster by layeredpages. Bookmark the permalink.